It wasn’t long ago that I read my first Christiansen Family novel by author Susan May Warren and fell in love with the sweet family in this series. The Christiansen Family books feature a wholesome all-American family who endure trials, triumphs, and everything in between. This particular Novella highlights the struggle of the now empty-nester’s, John and Ingrid. With all of their children doing their own thing for Christmas, John decides to surprise Ingrid with an overseas trip. Unfortunately, more than one family emergency disrupts his plan. John and Ingrid struggle to find one another again in this winter drama that will leave you craving snow, hot cocoa, and maybe even a few twinkling lights. A Novella can be a iffy read. More often than not, they leave you wanting. However, I can say that Evergreen is a wonderful read well worth your time. If you are already reading the series, you will absolutely enjoy it. 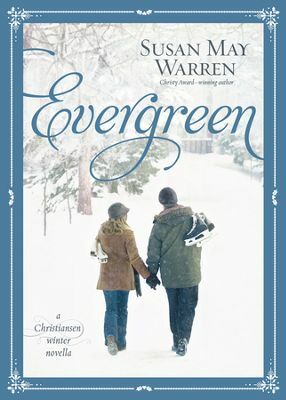 And, if you are unfamiliar with the series, Evergreen would be a fantastic way to sample the series. I am excited for the next novel, Always on My Mind which releases Spring 2015. I was given a complimentary copy of this book by Tyndale House Publishers in exchange for an honest review. I have not been compensated and all opinions are my own.